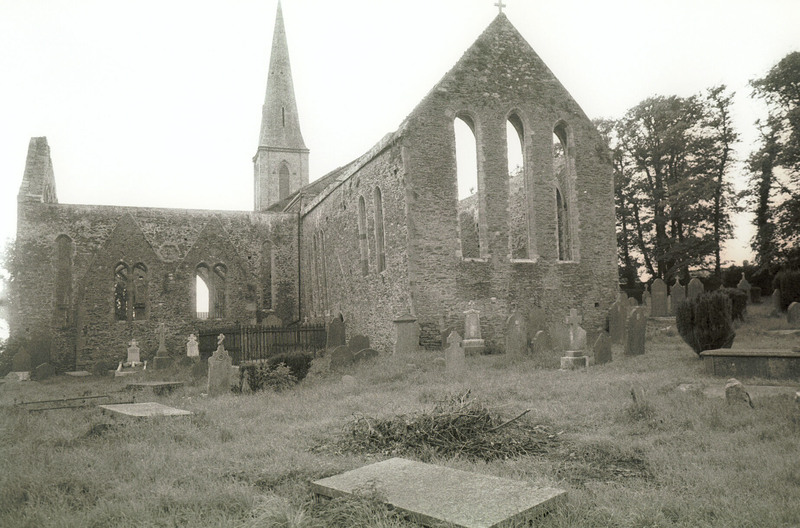 “St Mary's Parish Church, New Ross, Co Wexford, exterior - chancel, east end and south transept with two chapels,” Gothic Past, accessed April 18, 2019, http://gothicpast.com/items/show/1238. Photograph by Roger Stalley. View of chancel and south transept from the south - east showing triple lancet windows in east elevation of chancel, five single lancet windows in south elevation and a partial view of the north elevation. East elevation of south transept shows two chapels with paired lancet windows, flanked by single lancet windows and a sexfoil window overhead.